We manufacture diverse range of control panels that are designed using latest technology to suit the Varied needs of the clients. 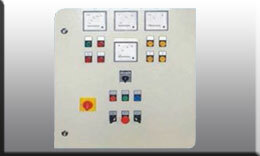 These panel also are used in diverse commercial applications and offers Accurate longer and reliable operations. These panel are specially designed to protect submersible and monoblock pumps from over-loading and short circuit. 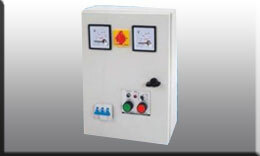 In case of three phase dol and automatic panels, these also protect the pump against single phasing, phase reversal etc. For control and protection of single submersible pups up to 5 h.p. For control and protection of single submersible pups up to 30 h.p. 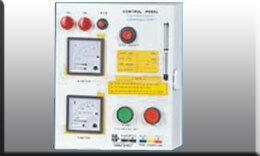 We offer highly customized & effective capacitor control panels. 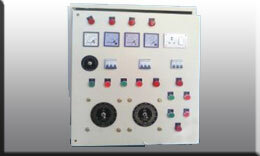 Our capacitor control panel are widely used in various industrial unit. Our panel came with a power circuit consisting of contractor, MCB and fuses.